No one wants the pain and inconvenience of a cracked tooth so today we are going to focus on ways to prevent this problem. To avoid a cracked tooth, you should steer clear of chewing on hard. This includes ice, hard candy, and popcorn. Also, protect against any impact to the mouth that could be experienced during sporting events. If you are a member of a local basketball, hockey, football or lacrosse league, schedule an appointment for a custom made mouth guard. Tooth grinding is never a good thing, and it can even lead to a cracked tooth or temporomandibular conditions. Talk to your dentist, about stress reduction techniques to keep your jaw nice and relaxed and see if you would benefit from a custom night time appliance (bitesplint). Keeping your regular check-ups with Dr. Stewart and Dr. 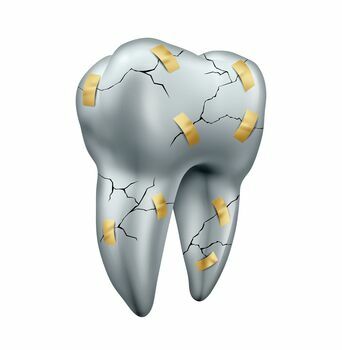 Hull could predispose you to a cracked tooth such as an uneven chewing surface or brittle teeth. Call our office at 616-827-7311 to schedule a preventative dental consultation and examination at Stewart and Hull Aesthetic and General Dentistry.